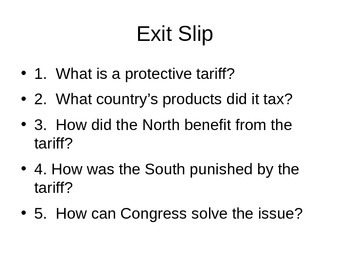 This simulation helps students understand why the South hated Protective Tariffs. 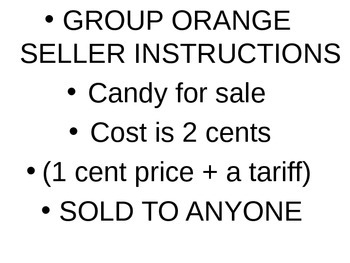 The simulation involves allowing two sellers to sell either candy or a homework pass. One group sells for double the price since it must charge a tariff. 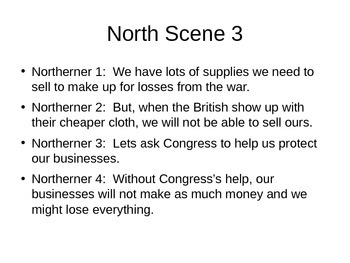 One group of students is "set up" to have to buy the more expensive product. 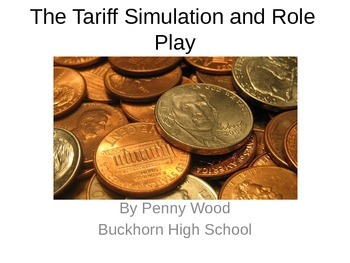 Included with the simulation is a short play to further the student's understanding. Thanks for your interest.